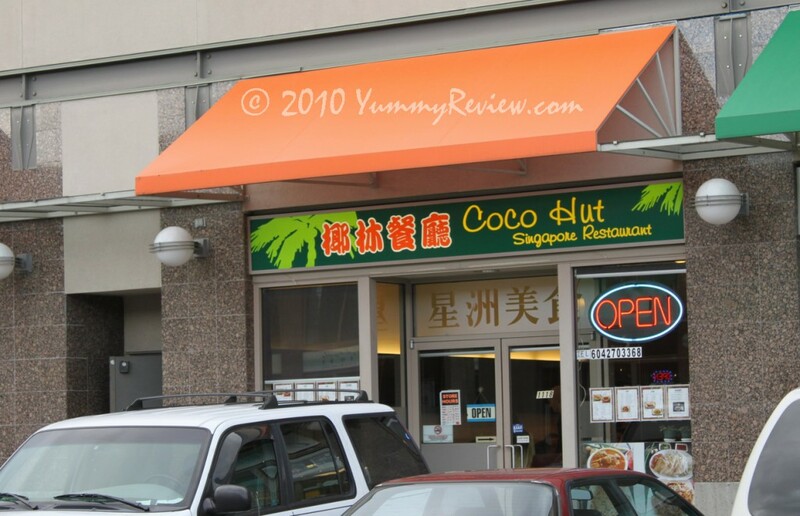 Let me start off by telling you that our visit to Coco Hut was completely unplanned. We were on our way to Gala Seafood Restaurant for dinner when we drove into Continental Centre. On route, a bright orange awning caught our attention. We stopped and took a peek inside. It was small, however, it looked busy and the menu and pictures displayed on the glass window looked very tasty and reasonably priced. We walked in and were quickly seated. The entrees include a drink. 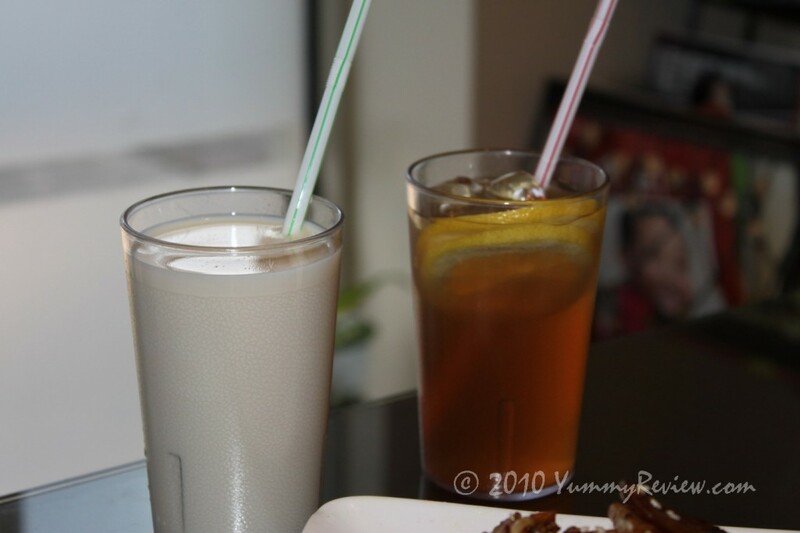 We chose the Sweet Soy Bean Drink and the Lemon Tea. It was a nice way to start off a warm evening. The appetizer list, as simple as it was, looked quite appealing. We started with the Satay Tofu. 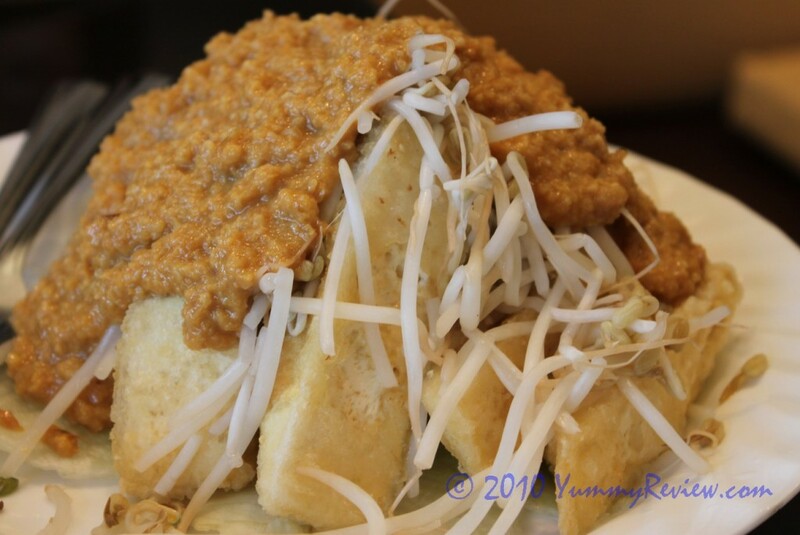 It was smothered with a layer of peanut sauce and some bean sprouts. The peanut sauce was tasty, however, the Tofu lacked any type of seasoning. I would suggest sprinkling some salt. 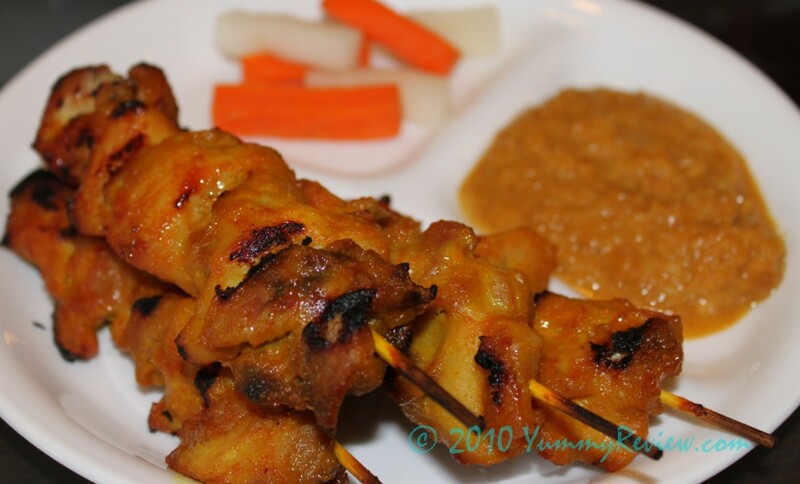 The next appie was the BBQ Chicken Satay with more peanut sauce. Yummmmmmy! The chicken was cooked perfectly. Not dry at all and the seasoning was delectable as well. If you like sour carrots and white radish to build up your appetite, it was present as well. This is one of my daughter’s favourites and she gobbled it down quickly with a ring of peanut sauce around her mouth. 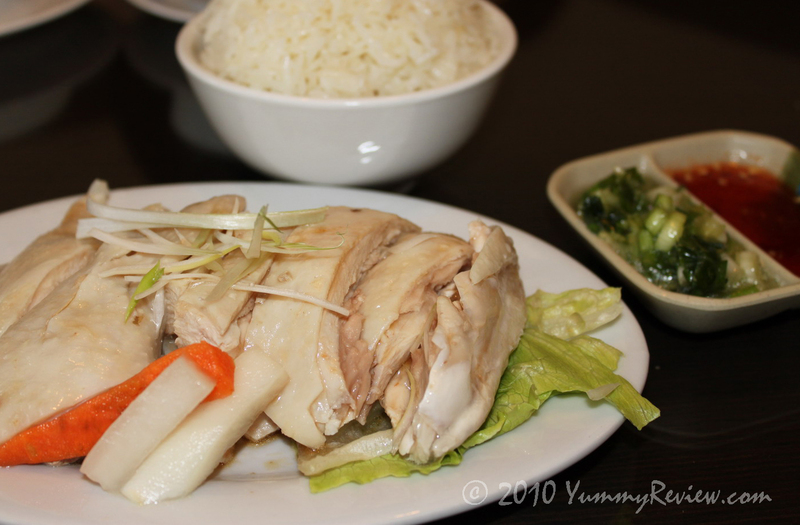 The Hainanese Chicken was very tender and was a nice dish to add to the rice. Don’t forget to dip it in the sweet chili sauce. We followed up with a couple of Noodle dishes. The first was the Belachan Fried Rice Noodle. Unlike traditional chinese Rice Noodle dishes, this one had a bit of a spicy kick to it. It has slices of Chinese sausage that went well with the noodles. The sesame is a simple ingredient that not only added to the appearance of the dish, but it also enhanced the flavouring as well. 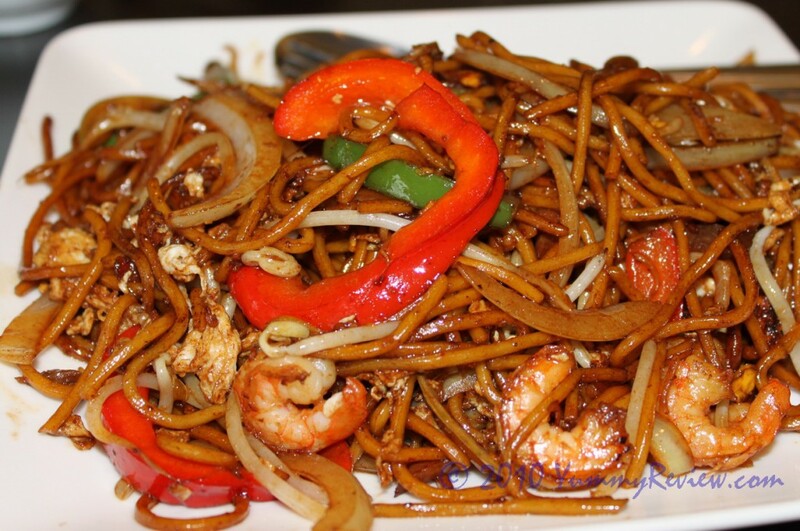 The final noodle dish was the Spicy Seafood Mee Goreng. 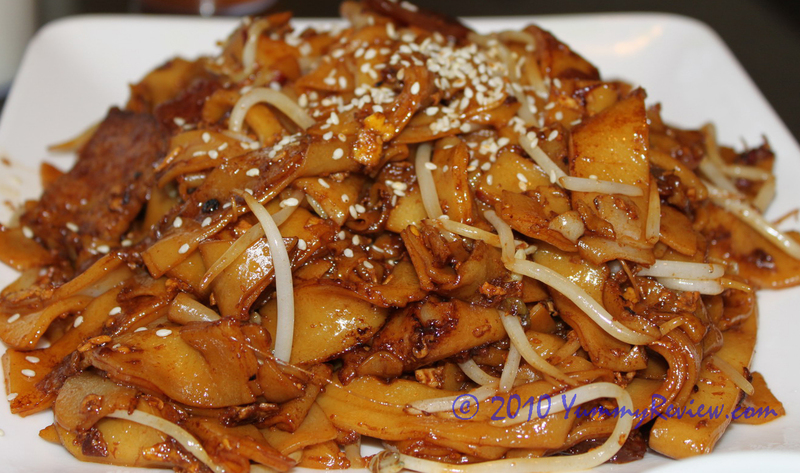 It did have some similarities in taste to the Belachan Fried Rice Noodle. It was definitely spicier and included eggs and of course the seafood. It was a tasty dish, nonetheless. The portions were decent and the food was tasty with the exception of the Satay Tofu. Given the price, quantity, and quality of the food overall, I would give my recommendation for Coco Hut Singapore Restaurant. It may not have been the best Singaporean food I’ve ever had, however, I will certainly be returning in the near future.